The news article below gave me a boost today. Nothing could be more encouraging than seeing Archimandrite Ephraim, Abbot of the Vatopedi Monastery on Holy Mount Athos, calling upon Orthodox Christians to unite in the struggle against abortion. May the clergy and the faithful heed his call and may the Lord God Almighty guide and help us in this work. 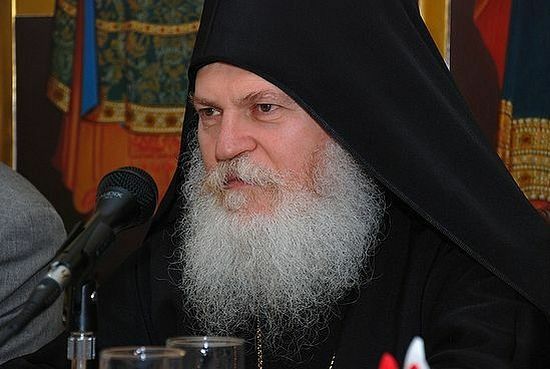 Orthodox Christians should more actively strive for a ban on abortions, believes Abbot of the Vatopedi Monastery on Holy Mount Athos, Archimandrite Ephraim, reports Interfax-Religion. “It is unacceptable that such terrible crimes as abortions are committed in Orthodox countries, moreover, in such large quantities! This phenomenon must make us think seriously about it; I would say, we must be shocked and distressed, we need to raise the alarm,” reads the address of the abbot to the participants of the “For Life” international pro-life festival that is due to take place in Moscow on August 11-13. In Archimandrite Ephraim’s view, cited by the festival organizers, the Orthodox Church could work more effectively with this issue. “We should have cooperated with the state, but it was the state itself that legalized abortions, so it is on the opposing side. All the clergy and people must be engaged in this activity; a strong campaign against abortions is needed which will proceed from the true knowledge of a human being and love for him or her,” he stressed.